It rolls, floats and treks around just once a year, but the planning, prepping and giddy anticipation of this Memorial Day weekend juggernaut goes on year-round. 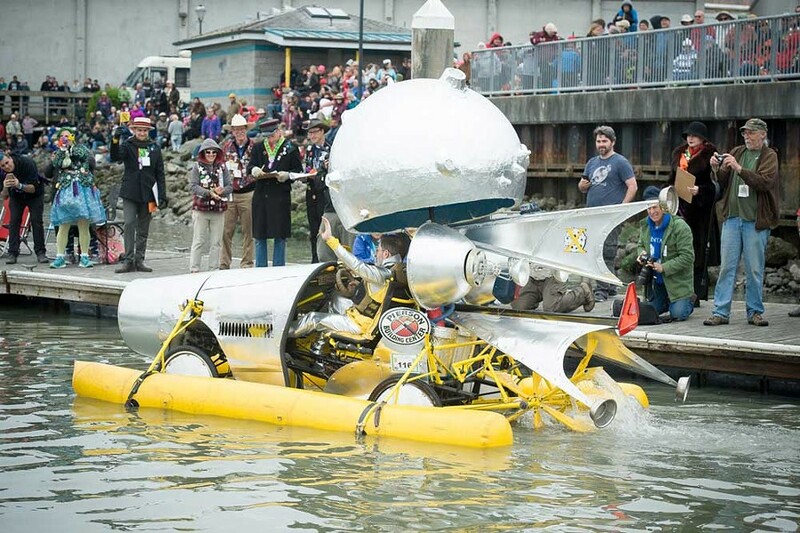 The Kinetic Grand Championship, the art/engineering mashup marvel that covers sea, sand, mud and land is here, May 25-28, and dedicated teams are going for the glory, glory. Hallelujah. 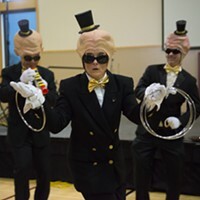 This year, the Kinetic fun extends over four days with the addition of the Kinetic Thrills Pageantry Party on Friday, May 25 from 6 to 10 p.m. at the Arcata Community Center (free). You can get a sneak peek of the teams while they entertain you with song, dance, skits and stories. If you behave accordingly (i.e. show up, have fun), organizers may bring it back next year. 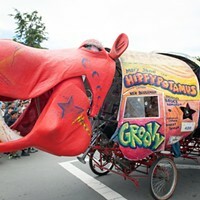 Rest up from the extra day of revelry and head to the Arcata Plaza on Saturday, May 26 from 9 a.m. to watch racers take laps around the plaza testing brakes and priming for the noon-ish kickoff when the Rutabaga Queens send them on their merry way. Teams then head to Manila on State Route 255 for the first leg of the race, crossing June's Dunes before seeing how they fare on Deadman's Drop at 1 p.m. Wrap up the day with the racers at Halvorsen Park for the Finish Line Party, 1 p.m. (Rutabaga time) to dark. Sunday, May 27 racers climb back on their horses (or lobsters or chickens or dragons) and cross the bay to climb Loleta Hill, then descend into Fernbridge on Monday, May 28 to cross the finish line in Ferndale. And all along the way, they'll be exemplifying the words of race founder Hobart Brown: "Adults having fun so children will want to grow up." 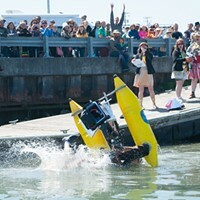 For a complete schedule of events, check www.kineticgrandchampionship.com.